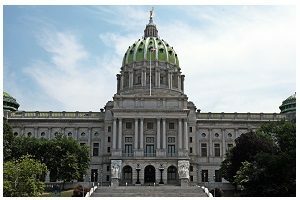 A major move to expand upon the gambling activities that can be supported in the state of Pennsylvania has recently taken place. The state House passed a bill that would make it easier for online gambling activities, including daily fantasy sports activities, to be legal and fully functions in the state. This new bill is H 271 and was a slight counter to a gaming bill that the Senate had passed. The House voted in favor of it with 102 votes for it versus 89 votes against it. The bill is about to head back to the Senate. The move is a big deal given that there has been various efforts to try and make the activity more prominent. A similar legislation tried to move through the House last year but it did not go anywhere. This new bill is designed to make online gambling legal in Pennsylvania. It would be legal in bars, airports and other public spots. It makes for the largest effort to expand upon gaming in the Keystone State since casino gaming was first introduced in 2004. Much of the effort is being held to try and get the deficit in the Treasury to shrink in value. Businesses which hold liquor licenses would have the right to own and operate gaming terminals. These are machines that work like traditional slots. There would be a limit of 40,000 of these allowed around the entire state. Casinos also have the option to operate online gambling sites at airports all around. Only passengers who have tickets would be allowed to get into these spots. License fees are slated to go for $250,000 to $5 million with the totals being charged varying based on the sizes of the airports that are trying to get them. Also, each airport would get 20 percent of the revenues that are generated while 16 percent would be given out to the state. Casinos that have their own horse racing tracks can run up to 250 gaming terminals. They can do this at up to four sports that are fully licensed and located outside of the racing tracks. These places would still have to be within Pennsylvania boundaries. A $5 million license fee would be used for each spot with a 54 percent tax rate added. The state lottery can also operate online games and raffles. The lottery would be the fifth in the country to offer this if the law is passed. People can also operate online casinos within the state. An $8 million fee is required alongside a 16 percent tax rate for operating such a site. Daily fantasy sports activities are to be supported just as well. A $50,000 license fee is to be charged while the tax rate has been slated to be at 19 percent. Also, such operators may be allowed to work online although they would have the option to work in physical betting parlors if preferred. USA online casinos on this page.